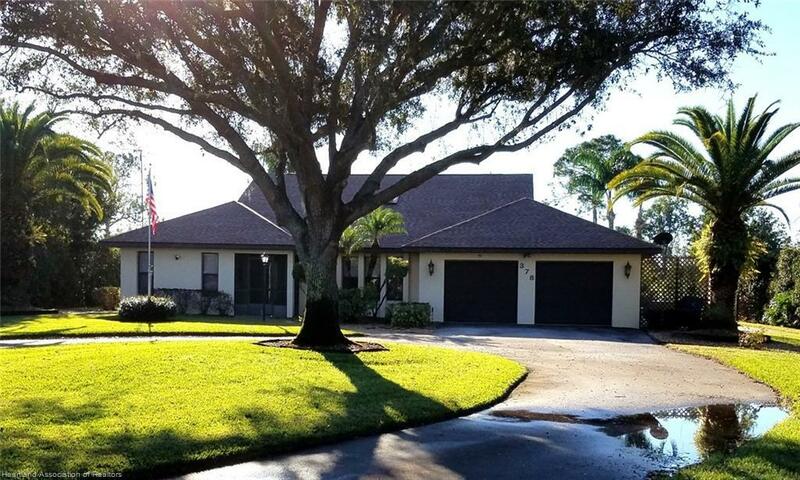 Beautifully appointed 4/3/2 salt water pool home with additional cabana/game/mother in law apartment that has it's own entrance and comes with the pool table. Home is on over one acre with private fenced backyard overlooking the canal and pool area. Updated Kitchen with oak cabinets, newer stainless appliances & quartz counter tops. New levolor blinds throughout. Large master suite overlooking the pool and gorgeous master bathroom dressing room vanity,maple cabinetry & tile. New roof Aug 2017 with warranty. 25KW whole house generator,hurricane shutters, concrete slab on side of house to motor home or boat. Circle driveway with great curb appeal make this a rare opportunity. This home is a must see. Make your appointment today.